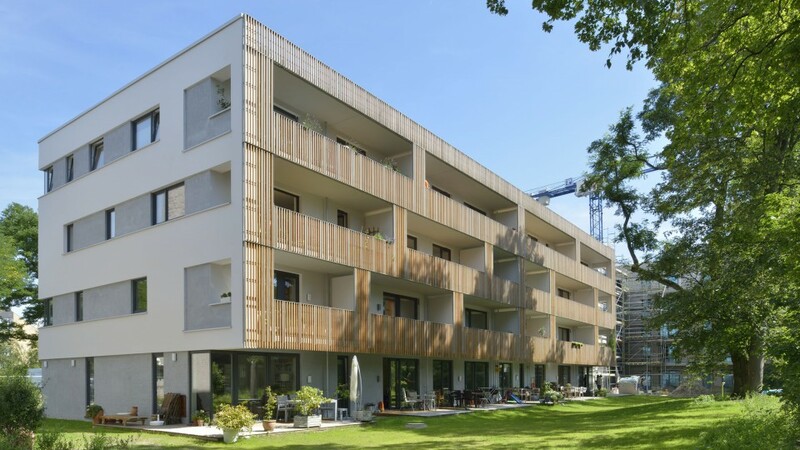 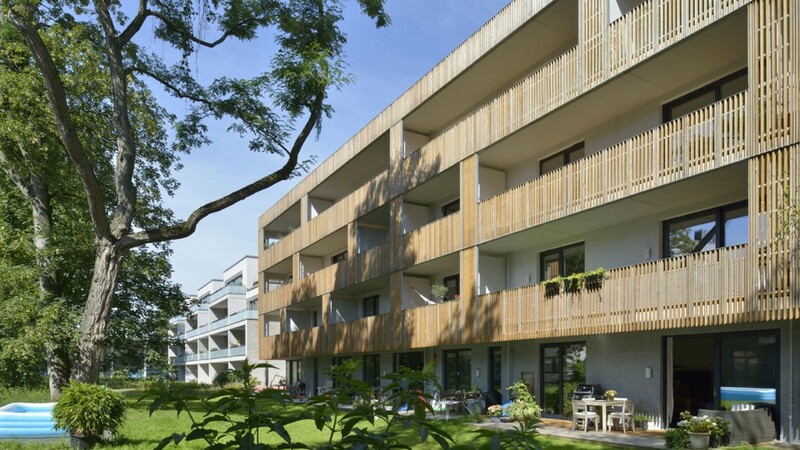 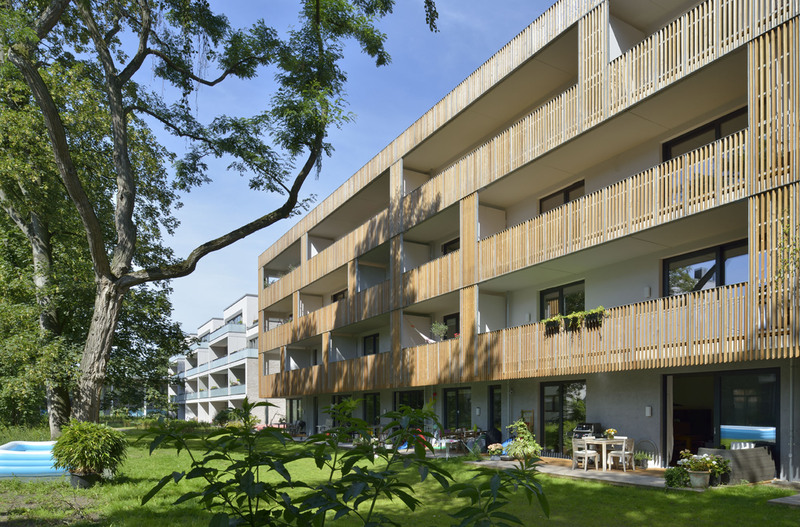 The design of the residential building in Hamburg-Hohenfelde, between Mühlendamm and Ifflandstraße, is the result of the recent “Green City Hohenfelde” competition. 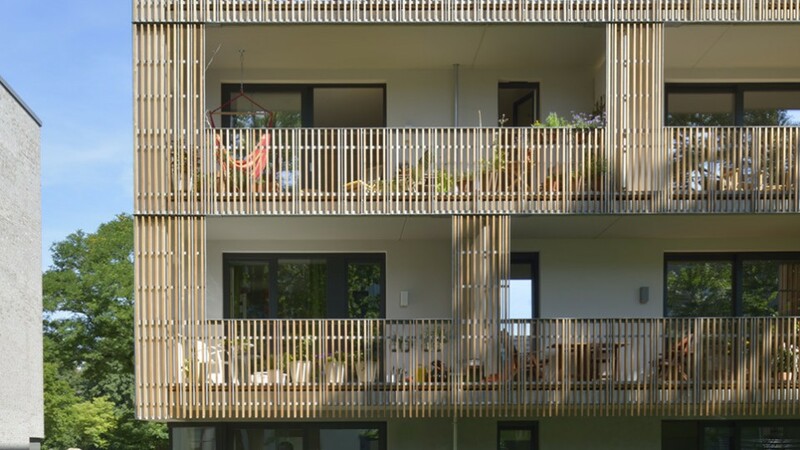 The five-storey whitewashed building with 19 different-sized units – from one bedroom apartments to five bedroom duplex apartments – is wrapped with timber slatted screens on the south side, providing privacy and sun protection. 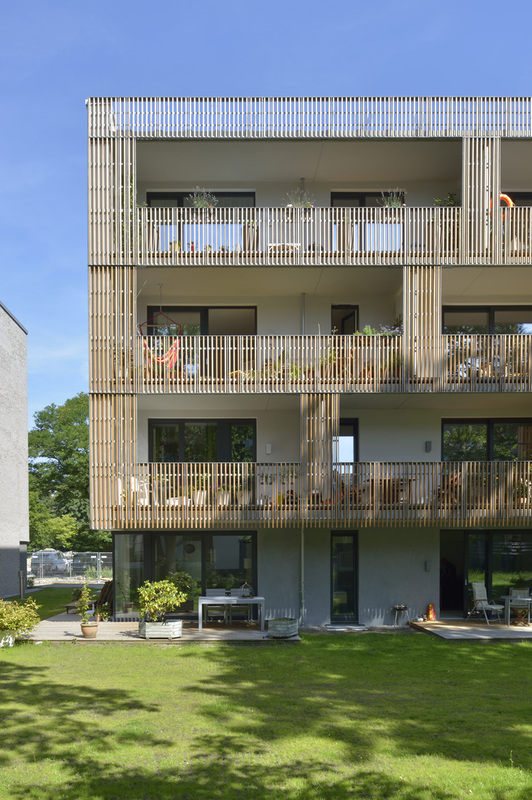 The window areas, with their slightly recessed openings and playfully arranged, grey plaster surfaces, break up the white facade and form a visual horizontal window band. 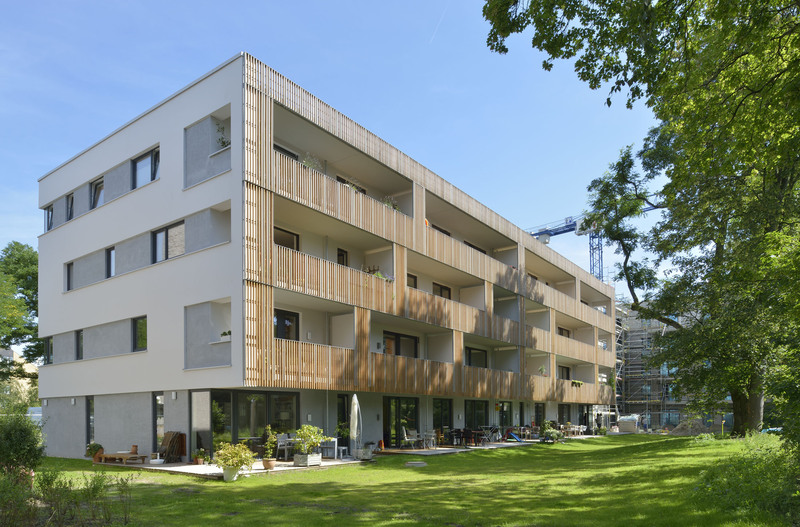 The offset base area blends with the surrounding buildings while also distinguishing the white construction from its surrounding area.